If you've found yourself wondering, "How long does siding last?" then you've come to the right place! We have an overview of siding options and their lifespans. As a responsible homeowner, you take the maintenance and repair of your home seriously. You know that there are a lot of things to consider when it comes to keeping your home's interior and exterior in their best conditions. If you've recently examined the exterior of your home, you might have thought about replacing the siding. You might be thinking, "I don't mind investing in new siding, but how long does siding last?" That's a great question, and the good news is that you have come to the right place. It's important to do proper research for home projects because you need to know some details before you invest the time and money. In fact, the average amount homeowners spend on repairs annually is 1 to 4 percent of the home's overall value. You need to be informed before you start spending, so read on to learn more. After examining your home's exterior, you might have noticed some not-so-pleasant features of the siding. Weather, time, and the structure of your home can affect the stability of the siding all the way around the outside. It might be subtle, like a warped or curved wall. More serious damage takes the form of cracks or fissures. If you see any of your siding with these signs, it's time to replace it. How Long Does Siding Last Once You Replace It? Different materials of siding have different lifespans. Though cost might factor into your decision for new siding (the average cost for new siding installation is $9,285), you might want to consider the long-term investment. The longest lasting siding material for its price tag is vinyl. You can expect an easy sixty years out of this material. With proper care and cleaning, the siding can last up to one-hundred years! Other siding materials like aluminum and wood only last for a couple of decades. That means you would probably have to replace it again within your lifetime. Siding materials that might last as long as vinyl include brick and natural stone. These are heavy-duty siding materials, but you should make sure an installation of either of these would suit the rest of your home exterior's aesthetic. As mentioned, vinyl siding might be the most durable, maintainable siding for you to install as a replacement. It is not too expensive compared to brick or stone when you really think about how long does siding last. You can be sure that its simplicity will fit well with the style of your home. We know how important it is to take home maintenance and repair seriously. 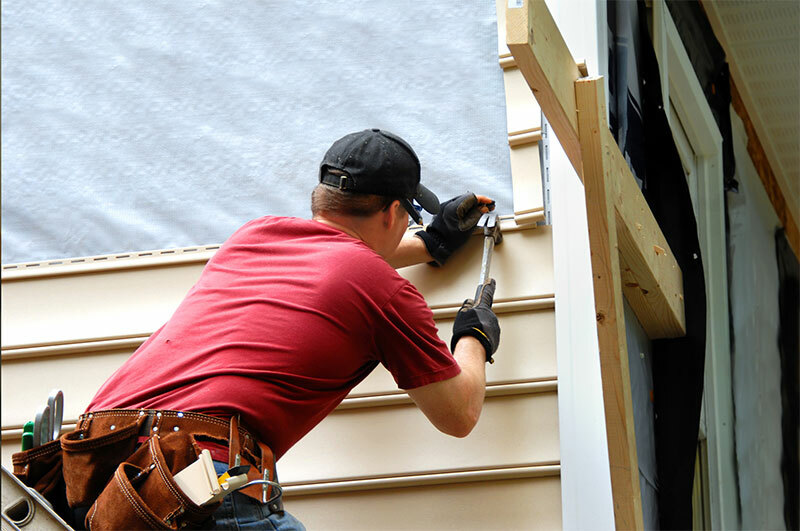 If you are ready to replace the siding of your home, we encourage you to get in touch with us. Contact us today to get started on your home's siding replacement project.